The SIPA | Under the recent SEC No-Action Letter, What exactly can an “Un-Licensed” M&A Person Do? 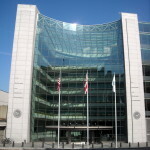 Definition: An “M&A Broker” is a person engaged in the business of effecting securities transactions solely in connection with the transfer of ownership and control of a privately-held company (as defined below) through the purchase, sale, exchange, issuance, repurchase, or redemption of, or a business combination involving, securities or assets of the company, to a buyer that will actively operate the company or the business conducted with the assets of the company. A buyer could actively operate the company through the power to elect executive officers and approve the annual budget or by service as an executive or other executive manager, among other things. Definition: A “privately-held company” for purposes of this letter is a company that does not have any class of securities registered, or required to be registered, with the Commission under Section 12 of the Exchange Act, or with respect to which the company files, or is required to file, periodic information, documents, or reports under Section 15(d) of the Exchange Act. Any privately-held company that is the subject of this letter would be an operating company that is a going concern and not a “shell” company. 1. M&A Brokers do not have the ability to bind a party to an M&A Transaction. 2. M&A Brokers cannot directly, or indirectly through any affiliate, provide financing for an M&A Transaction. 4. M&A Brokers may assist purchasers to obtain financing from unaffiliated third parties. 5. M&A Brokers must pre-disclose any compensation in writing to the client. 6. M&A Brokers may not have custody of securities issued in connection with an M&A Transaction. 7. M&A Brokers may not have control of securities issued in connection with an M&A Transaction. 8. M&A Brokers may not have possession of securities issued in connection with an M&A Transaction. 9. M&A Brokers must not handle funds or securities issued or exchanged in connection with an M&A Transaction. 10. M&A Transactions must not involve a public offering. 11. M&A Brokers must insure that any offering or sale of securities in conjunction with an M&A Transaction will be conducted in compliance with an applicable exemption from registration under the Securities Act of 1933 (“Securities Act”). 12. M&A Brokers must insure that no party to any M&A Transaction will be a shell company, other than a business combination related shell company. (4) A company must have been actually conducting business, including soliciting or effecting business transactions or engaging in research and development activities. Definition: “business combination related shell company” means a shell company (as defined in Securities Act Rule 405) that is: (1) formed by an entity that is not a shell company solely for the purpose of changing the corporate domicile of that entity solely within the United States; or (formed by an entity that is not a shell company solely for the purpose of completing a business combination transaction (as defined in Securities Act Rule 165(f)) among one or more entities other than the shell company, none of which is a shell company. 13. M&A Brokers may represent buyers or sellers or both so long as clear written disclosure as to the parties it represents is provided and written consent is obtained from both parties to the joint representation. 14. M&A Brokers can facilitate M&A Transactions with a group of buyers only if the group is formed without the assistance of the M&A Broker. 15. M&A Brokers must insure that the buyer, or group of buyers will, upon completion of the M&A Transaction, control and actively operate the company or the business conducted with the assets of the business. Definition: A buyer, or group of buyers collectively, would have the necessary control if it has the power, directly or indirectly, to direct the management or policies of a company through ownership of securities or by contract, or otherwise. The necessary control will be presumed to exist if, upon completion of the transaction, the buyer or group of buyers has the right to vote 25% or more of a class of voting securities; has the power to sell or direct the sale of 25% or more of a class of voting securities; or in the case of a partnership or limited liability company, has the right to receive upon dissolution or has contributed 25% or more of the capital. In addition, the buyer, or group of buyers, must actively operate the company or the business conducted with the assets of the company. 16. M&A Brokers must insure that no M&A Transaction will result in the transfer of interests to a passive buyer or group of passive buyers. 17. Any securities received by the buyer or M&A Broker in an M&A Transaction will be restricted securities within the meaning of Rule 144(a)(3) under the Securities Act of 1933 because the securities would have been issued in a transaction not involving a public offering. 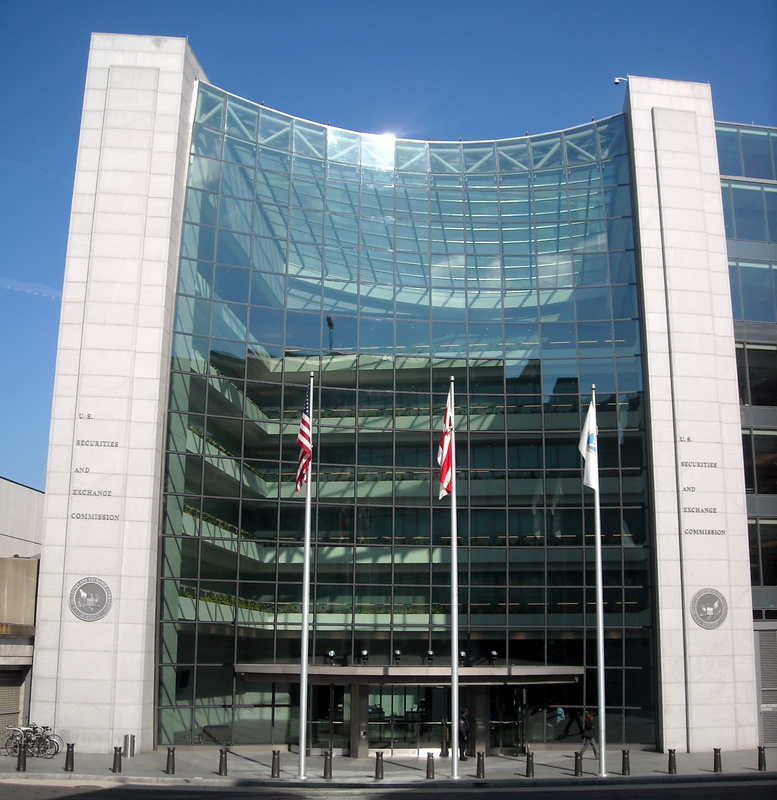 (ii) are not currently suspended from association with a broker-dealer. 19. M&A Brokers may assist in conducting due diligence, with the assistance of legal counsel, accountants, and other business consultants. 20. M&A Brokers may assist in determining and resolving valuation issues. 21. M&A Brokers may assist in resolving structuring concerns and other various business-related issues. 22. M&A Brokers may assist in providing access to both current and historical business-related information. 23. M&A Brokers may assist a seller with, among other things, advice about potential buyers, valuation issues, due diligence, structuring concerns and various business-related issues. 24. M&A Brokers may assist in the terms and conditions of the transactions which are typically subject to negotiation between the seller and buyer, and memorialized in a series of transaction-related agreements that may involve legal counsel, accountants, commercial bankers, and other business consultants for either or both of the parties. 25. M&A Brokers can assist buyers by, among other things, bringing potential acquisitions to their attention. 26. M&A Brokers can assist sellers as well by exposing their businesses to a wider range of potential purchasers than the seller itself might be able to identify. Such exposure can result in competing bids, thus assisting the seller to maximize the sale price and perhaps shortening the time to conclude a sale. 27. M&A Brokers do not hold customer funds or securities, and merely introduce the parties to one other and transmit documents between the parties. 28. M&A Brokers remain subject to the anti-fraud provisions of securities law. 29. M&A Brokers compensation may consist of a fixed fee, hourly fee, a commission, or a combination thereof. 30. M&A Broker compensation may be based upon the consideration received by the seller, regardless of the means used to effect the transaction and would not vary according to the form of conveyance (i.e., securities rather than assets). 31. M&A Brokers may assist purchasers with obtaining financing, including than providing compensated introductions to third-party lenders or help with completing the paperwork associated with loan applications. 32. M&A Brokers compensation must be determined prior to the decision on how to effect the sale of the business and must be payable in cash. compensation to the same extent that the consideration paid by the purchaser to the seller is deferred (i.e., if consideration to the seller from the purchaser is paid in part upon, and in part after, closing, the M&A Broker could likewise receive its compensation in part upon, and in part after, closing). 34. M&A Brokers cannot advertise or otherwise promote the sale of securities. (4) assist the seller with preparation of financial statements. 35. M&A Brokers may prepare a detailed description of the seller’s company based on information supplied by the seller, including historical financial data and publicly available information, the intermediary must apprise potential purchasers that it makes no representations about the accuracy of the information provided. 36. M&A Brokers may represent either the buyer or the seller of the business, or both of them, so long as the M&A Broker provides clear written disclosure to both parties as to which parties it represents and has obtained written consent from both parties to any joint representation. 38. M&A Brokers may participate in M&A Transactions and allow the M&A Broker to advertise a company for sale with information such as the description of the business, general location, and price range. 39. M&A Brokers may advise the parties to issue securities, or otherwise to effect the transfer of the business by means of securities, or assess the value of any securities sold. 40. M&A Brokers may participate in the negotiations of the M&A Transaction.